One-way traffic spikes will allow boaters to stay on the water longer. (Photo courtesy of the Loveland Reporter-Herald. 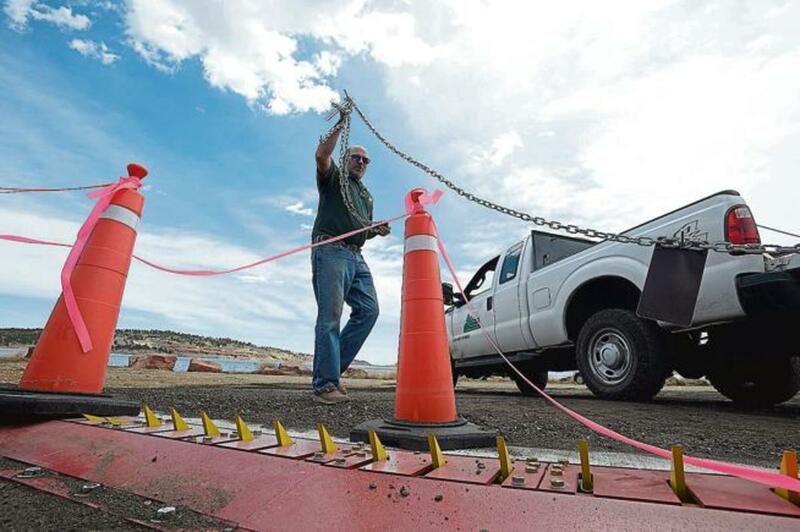 Larimer County in Colorado is installing one-way spike-style gates at two public launch ramps on Carter Lake and Horsetooth Reservoir. The intent is to allow boaters to stay on the water past the times that aquatic invasive species inspections take place. “We were able to install a one-way exit ramp,” James Bishop, of the Bureau of Reclamation, told the Loveland Reporter-Herald. At both reservoirs, boaters must go through an on-site inspection process for AIS before they can launch. The inspection is required by Colorado Parks and Wildlife. Each body of water has set hours during which inspectors are on site. Last year, park managers locked the ramps’ gates at the end of those scheduled hours to keep boaters from entering without an inspection. Locking the gates also meant that boaters had to get off the water by a certain time. To accommodate boaters who want to stay on the water longer, Larimer County, the Bureau of Reclamation and Northern Water have installed the one-way gates. An exit lane protected with spike strips will remain open at each reservoir. This lets boaters leave later, and should prevent them from launching outside of inspection hours. The $20,000 project is being funded by the Bureau of Reclamation and Northern Water, which manages water distribution for the reservoirs.